cms.exchangeandmart.co.uk – Page 2 – Manage news and blogs for E+M here! Top cars of 2018 – And the winners are…. Here are just a select few of the winners. 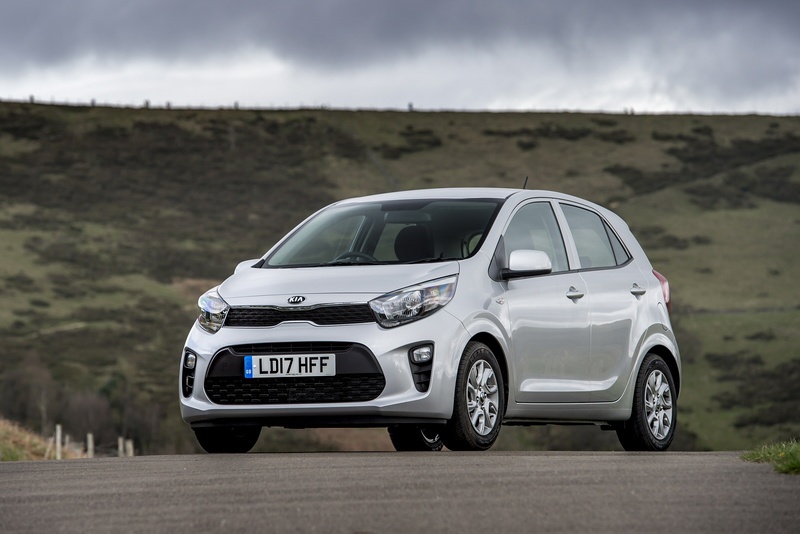 With its blend of affordability and impressive build quality, the Kia Picanto is one of the most popular small cars around. Not only is it stylish in looks, comfortable on the inside and is also one of the safest small cars around. Combine that with Kia’s 7-year warranty and low ownership costs, if you’re looking for a small car then the Kia Picanto is your perfect fit. One of the most popular cars in the UK, if not the world, the Ford Fiesta has always been an affordable choice but also a great car to drive. 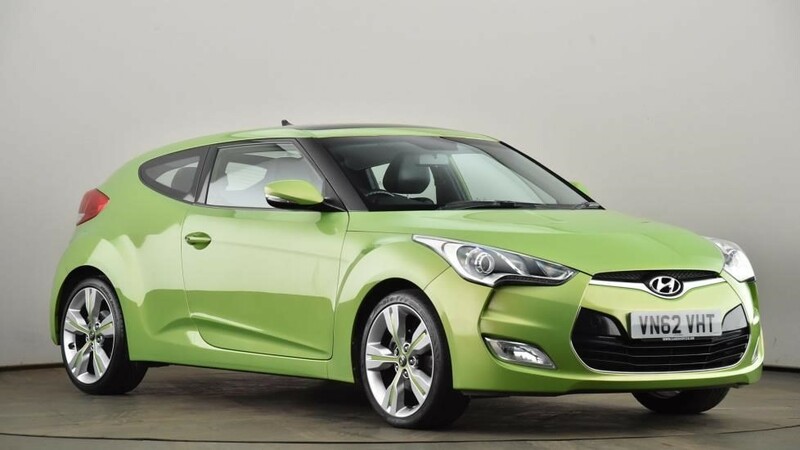 In its seventh generation, it has been designed to make a statement on the supermini segment. 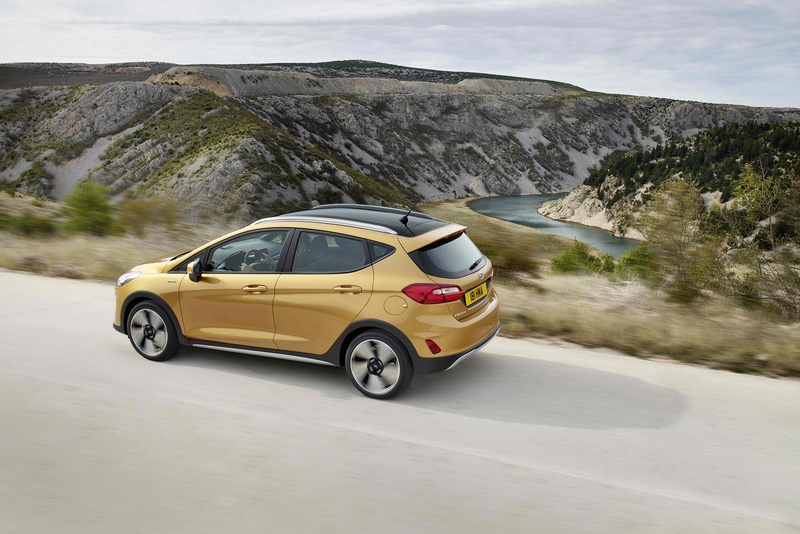 As before, it is available in 3 and 5 door options but is also available in an ‘Active’ crossover body style aimed at customers wanting luxury and sportiness. Named after the traditional Spanish town, the Ateca competes with the likes of the Volkswagen Tiguan but as the brand says, it offers a sportier feel and affordable price tag. 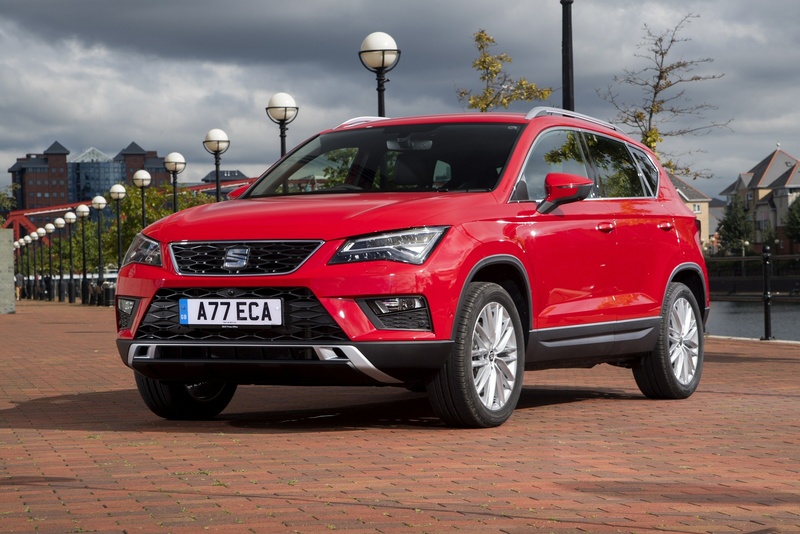 This is SEAT’s first foray in to the SUV market and seems to be well worth the wait, with standard equipment including air conditioning, touchscreen media system, leather steering wheel and 16-inch alloy wheels. If you’re a fan of the Nissan Qashqai then it’s definitely worth a look. 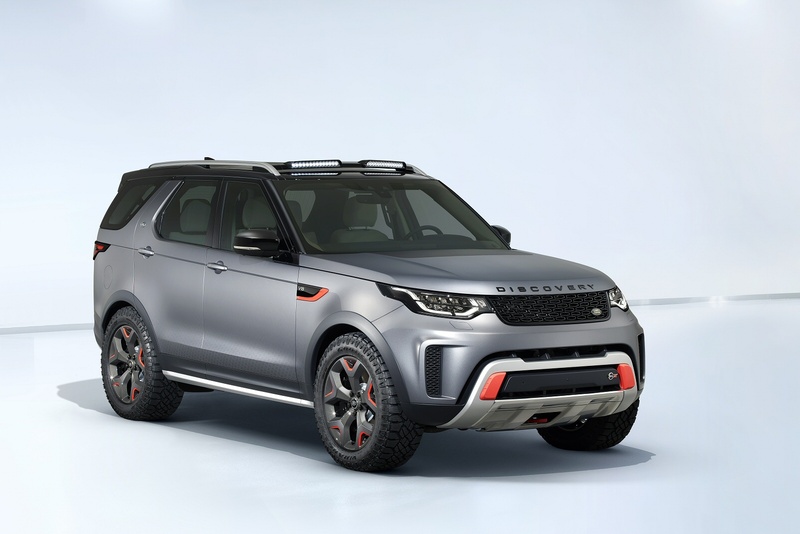 There’s nothing quite like a Land Rover Discovery and this fifth-generation version continues to offer the toughest, most practical and most capable choice in the large SUV sector. It’s, larger inside, cheaper to run and more media-savvy than its predecessor. 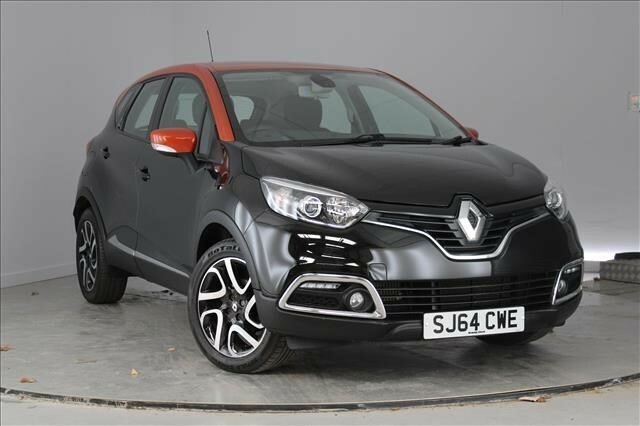 Yet it remains a practical choice for up to seven adults and is an easy class-leader off the beaten track. In the large family SUV segment, there’s nothing quite like it. 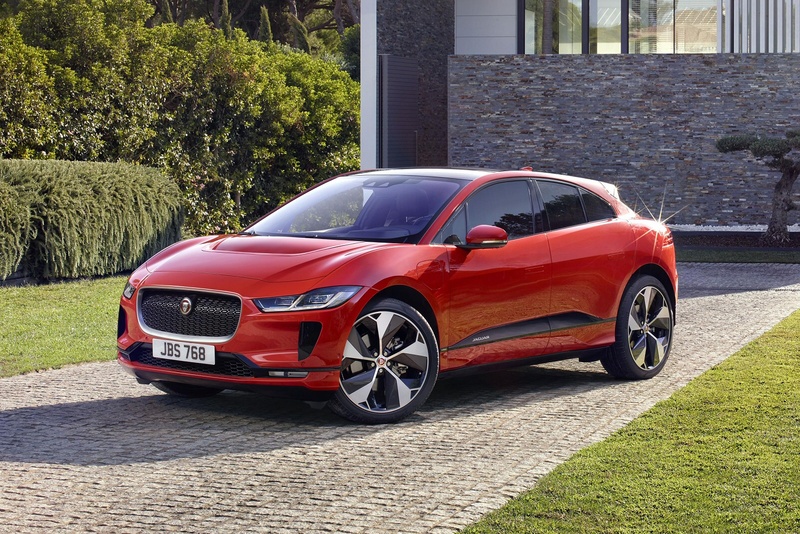 With the launch of the i-PACE, Jaguar became the first premium brand to make a long range, practical, battery-powered electric vehicle but with an asking price of £60,000 – is it worth it? With a 300-mile driving range, competing with the likes of Tesla, almost zero emissions, comfortable on the race track and with all the luxury from the premium brand you’ll find it hard not to want one. Also, winner of the ‘Family Hatch of the Year’, the MK4 version of this popular model offers slicker, more stylish lines, higher quality interior and extra technology like radar-operated cruise control, lane-keep assist, emergency auto-braking and wi-fi network. 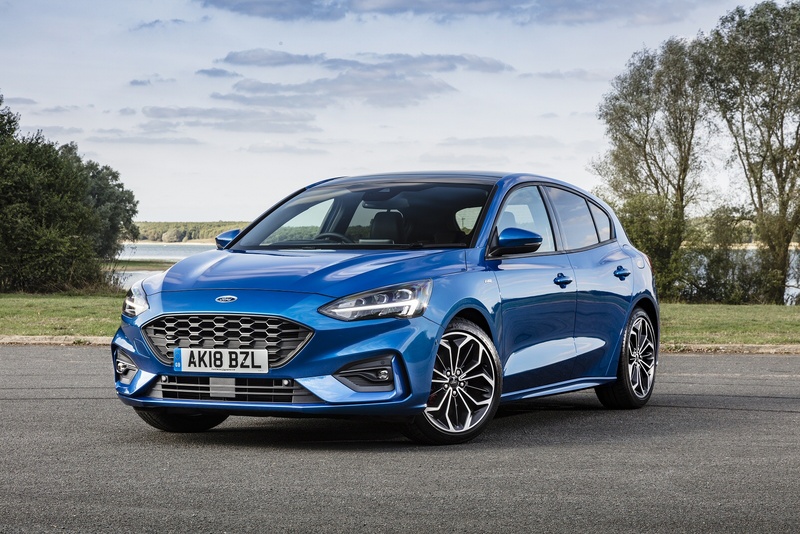 It’s good to know that despite its fancy facelift and gadgets, the Focus is still as rewarding to drive as it has always been. 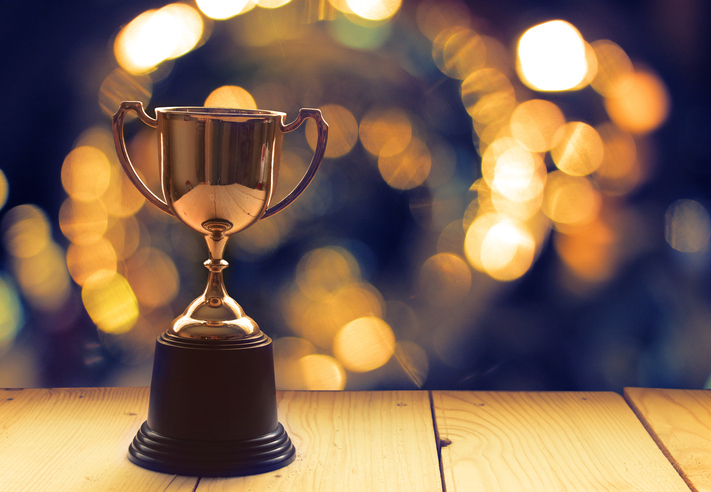 Author Lynn ClarkPosted on December 20, 2018 December 20, 2018 Leave a comment on Top cars of 2018 – And the winners are…. No road trip home is complete without some festive tunes – and we’re not talking Christmas carols. Here are out top picks for Christmas tunes for any car journey, from classics to recent releases. We couldn’t begin the list without this obvious classic. Perfect for getting you in the mood for your journey home and excited to see your loved ones at the other end. We all love a white Christmas but not when we have to drive in it! So hopefully this is the only white Christmas you enjoy on your drive home and the roads stay clear and safe. It might be a bit controversial to not include the original, but it wouldn’t be Christmas without some Michael Bublé. A nice fun, joyous song to liven the journey up. It’ll be hard not to sing-along, whether you have some company or are a solo singer. So maybe we don’t wish it literally but a great tune none the less. We’re sure you won’t be the only one screaming ‘It’s Christmas!! !’ on the roads this year. Are you dreaming of what’s under the tree this year? A more recent tune to hit the Christmas charts but is fast becoming a festive favourite. This one is bound to put a smile on every Grinch this year. It may not get you out the holiday tailbacks, but it’ll lift your mood and spread that festive cheer. Some of the best Christmas songs are the chilled-out ones but maybe skip this one if you’ve just gone through a break up! 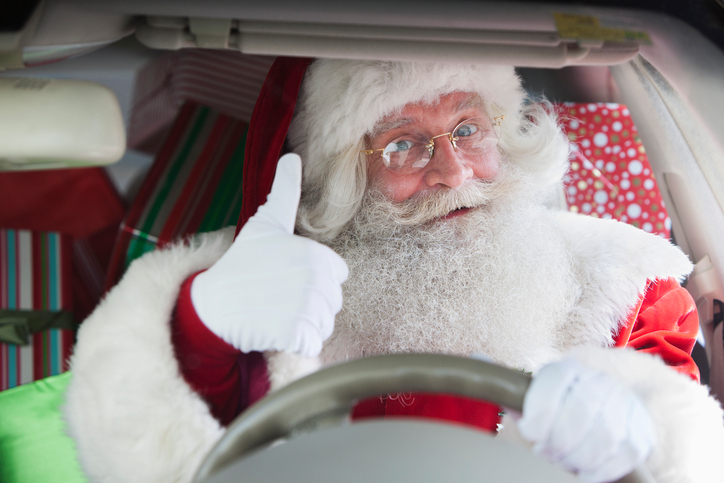 You might feel like Santa coming to town if your boot is packed full of presents for friends and family so get the whole car signing along to this one! Our list of top Christmas tunes wouldn’t be complete without this classic, although you might find yourself shedding a tear or two! However you travel home this Christmas, and if you’re out driving during the holidays, make sure you stay safe on the road. Check out our tips for winter driving, preparing your car and stocking up on your winter survival kit. Perfect for the car lover with a sweet tooth. 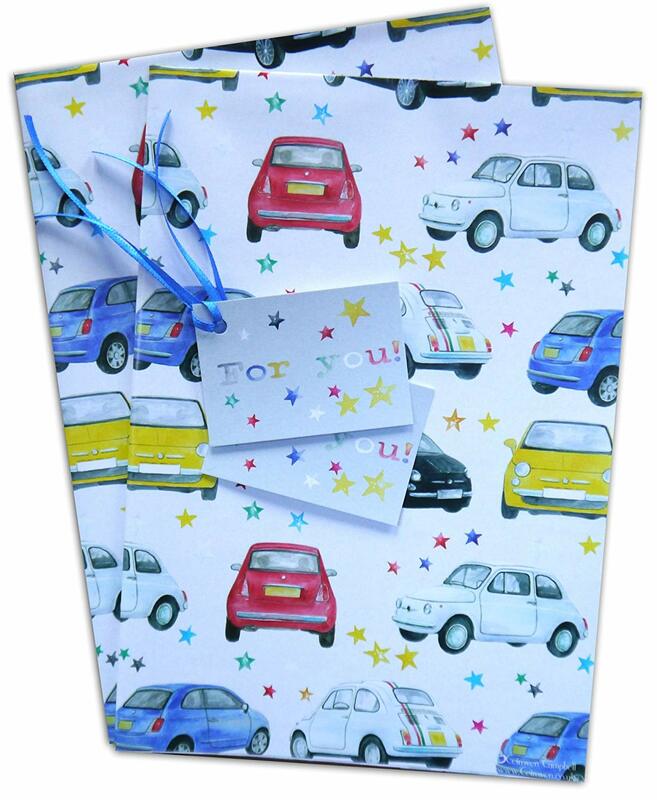 Not just for birthdays, this box of chocolate cars can be personalised with their favourite colour and age. Great as a little extra to share with the family or keep to themselves! This is a great gift for a new driver that likes to put their stamp on everything! 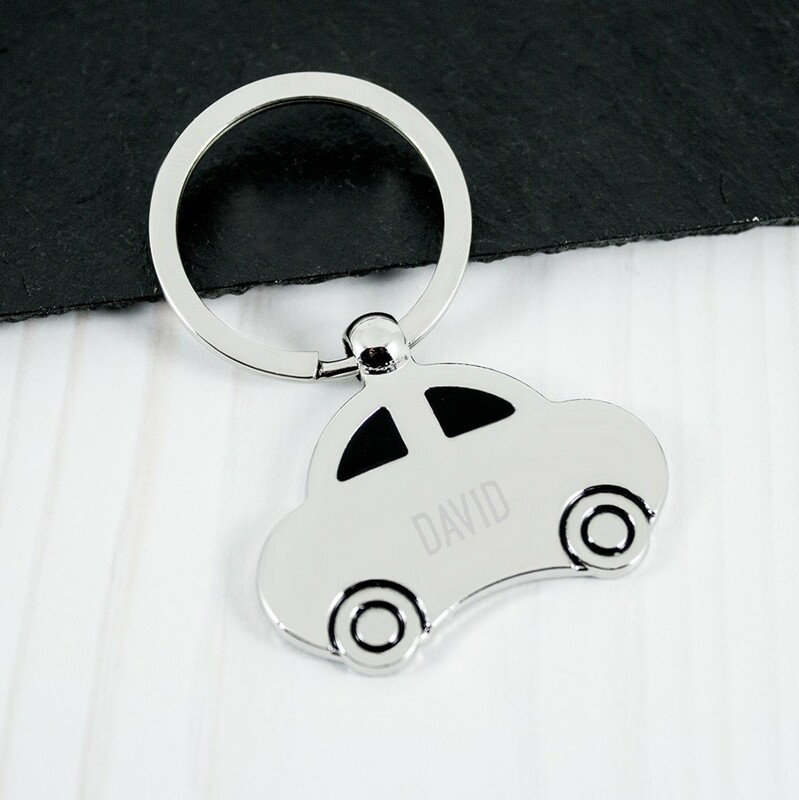 It can be personalised with their name or a special message and will hopefully stop them losing their keys! 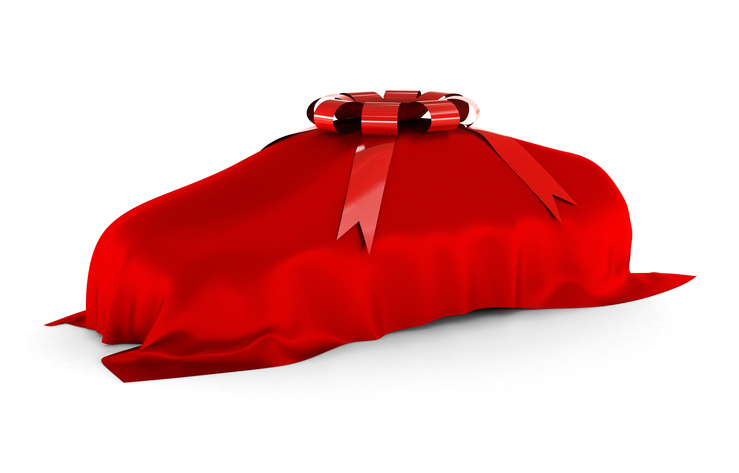 The car theme doesn’t need to stop at the presents! Why not keep the theme going into the wrapping paper? Perfect for the Fiat 500 driver in your life that just can’t get enough of their car. Have you got a big F1 fan in the family? 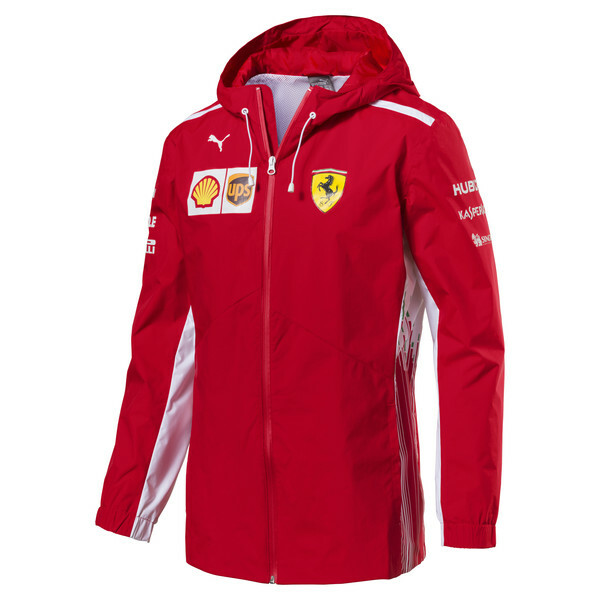 Give them a taste of life in the fast lane with a choice of F1 Ferrari branded sportswear, from trainers to beanies. 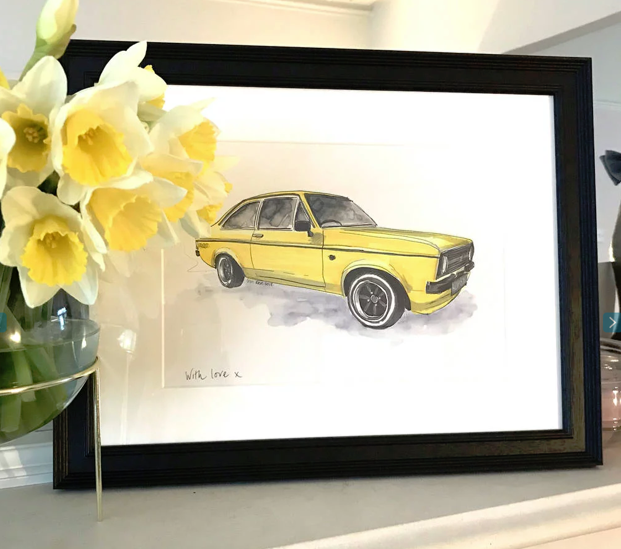 How about a hand drawn illustration of their pride and joy to take centre stage on top of the mantelpiece or even the bedside table? Do you know someone that spends most of their time in the car, away from family and friends? 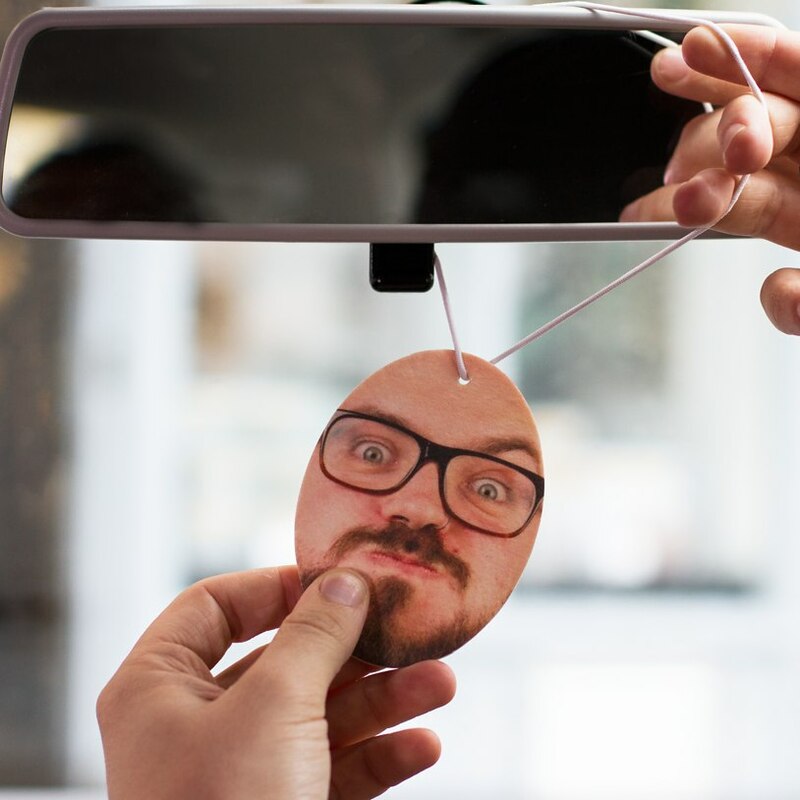 Make sure they take a piece of you on every road trip with these personalised car air fresheners – fun and practical! A more practical gift to ensure they stay safe on the road. 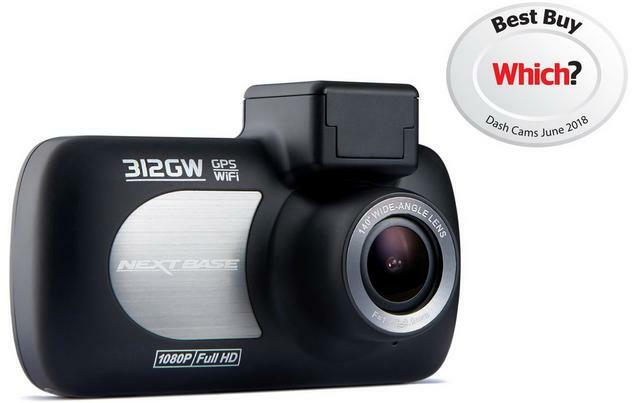 Dash cameras are becoming more popular these days and almost essential if you use your car for business. 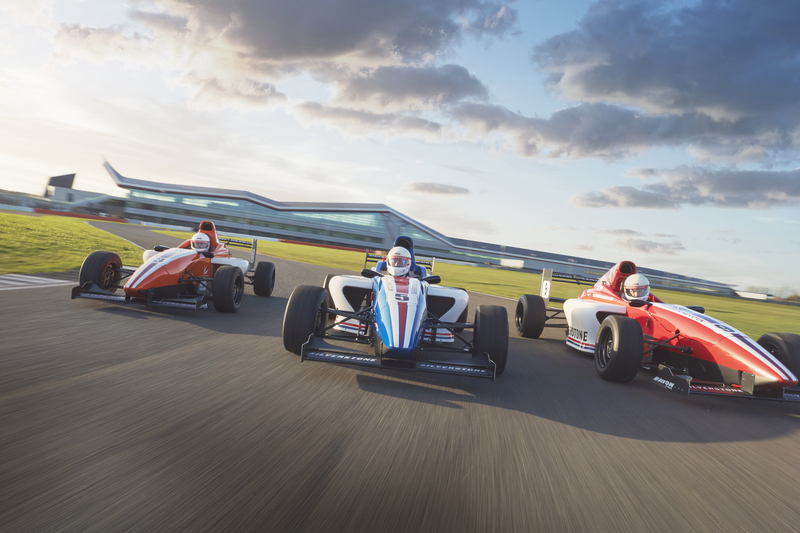 Whether their dream is to race a Formula 1 car or crash around in a big monster truck, why not treat them to an experience of a lifetime with a choice of car driving experience days? 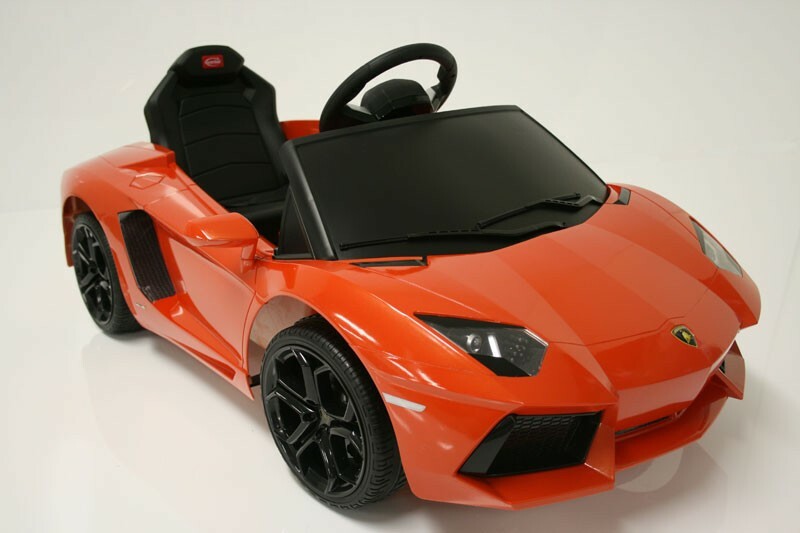 An obsession with cars can start at a young age so if you’ve got a child that has been wishing for their own Range Rover Evoque or Lamborghini then these toy cars are perfect. Plus, for less than £200 they are a bargain compared to the real deal! Big kids need a treat too. So, if you’re thinking of treating that special someone, or yourself, to a new car then look no further than Exchange and Mart and s1cars. We’ve got thousands of used cars from trusted dealers throughout the UK just waiting for you. It might seem obvious, but get your car serviced. 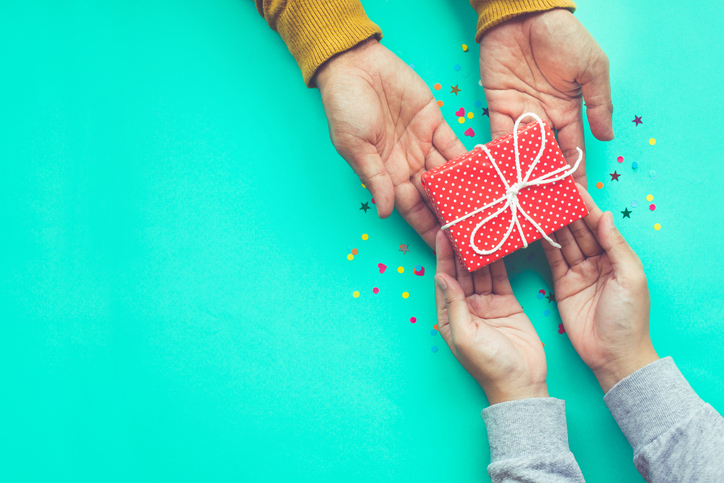 It can be all too easy to forget to do this as often as we should – that year can come around more quickly than we realise. If your car is still under warranty, then regular servicing as per the manufacturer’s requirements is a must. However, it will pay to get things checked before winter kicks in regardless. Many dealers offer free winter health checks so take advantage of these if available near you. 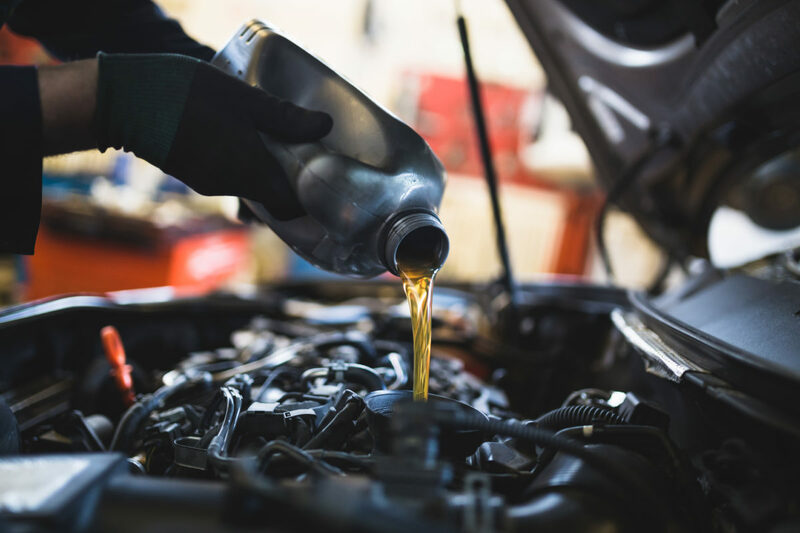 You can also do a lot of the checking yourself, like oil land waters levels, engine coolant and make sure your wipers don’t need replaced. Get your brake pads, brake discs and brake fluid checked to make sure your car is stopping as well as it should. This is especially important in winter when roads are wet or icy. Check the fan belt and alternator belt are tight and not worn. Check the spark plugs and other leads are in good condition. Do this regularly through the winter – and, indeed, all year round. Tyres are very important – they’re the only part of your car that’s in contact with the road, after all. The legal minimum for tread on your tyres is 1.6mm, but in practice at least 3mm is recommended. Make sure your tyres are in otherwise good condition, checking for cracks in the side walls and other irregularities. 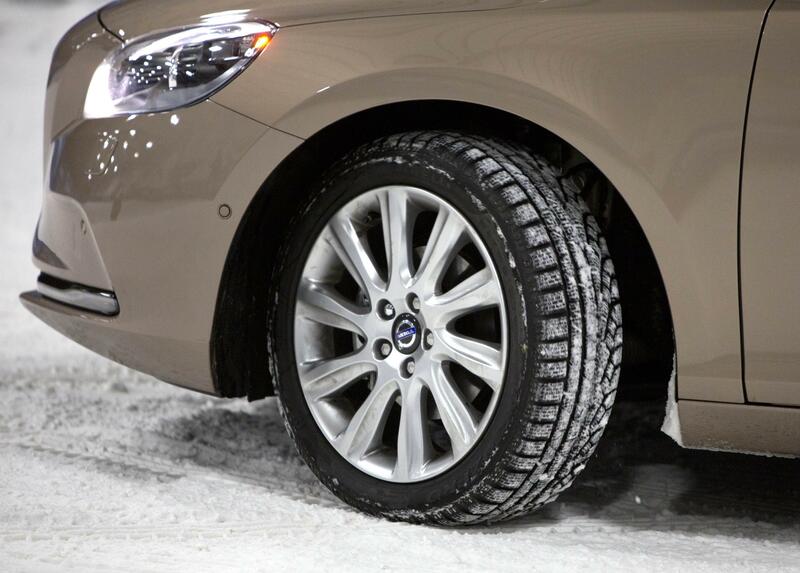 Winter tyres are also worth considering. Although it can seem a bit extreme in the UK and could be considered an unnecessary cost, winter tyres are designed to deal with the worst of weather. And, if you swap them over in the summer, both sets of tyres will last twice as long, making the overall cost little different. Don’t forget the basics that can be done very quickly. Keep your lights clean. Although it can often seem pointless to wash your car every weekend during the winter, do make sure that your lights are clean. Dirt from the road, especially wet roads, is much worse in poor winter weather and headlights quickly accumulate a grubby film that can reduce the effectiveness of your lights dramatically, so clean them often. The same goes for your windscreen and wipers. 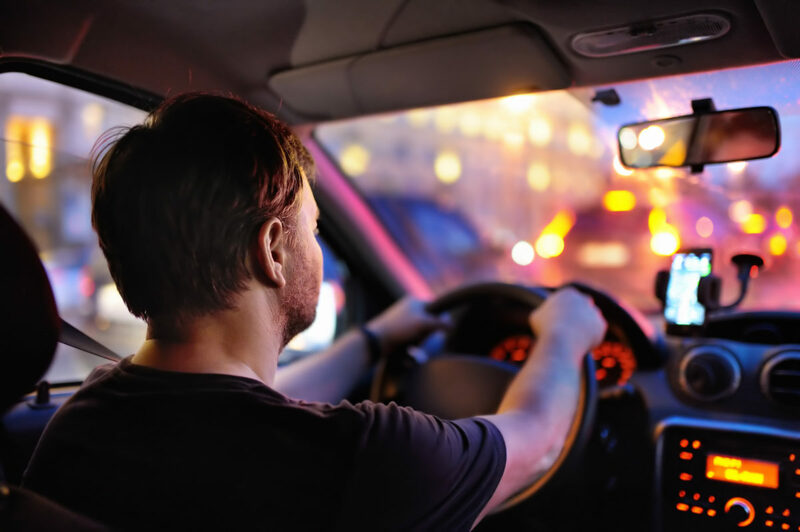 A dirty screen can add to the effect of glare when driving in the dark and make for a streaky view in the rain – which is both annoying and dangerous. Clean the wipers themselves, while checking for deterioration, to make sure they wipe the screen smoothly and without streaking. Replace them if you need to. Don’t think that preparing for the worst is a silly idea. If you do break down, you’ll be glad for that box of handy stuff you put in your boot for such eventualities. Include a shovel – in case your car is physically stuck in snow or mud – a torch, blanket, hi-vis vest, screen wash, de-icer and scraper and food and drink supplies. Make sure, too, that you have a fully charged mobile phone, or the means to charge it. Above all else, check you’ve got adequate breakdown cover in place. If the worst does happen, you want to get home quickly and safely. Breakdown cover these days has various levels, so make sure yours covers what you need. 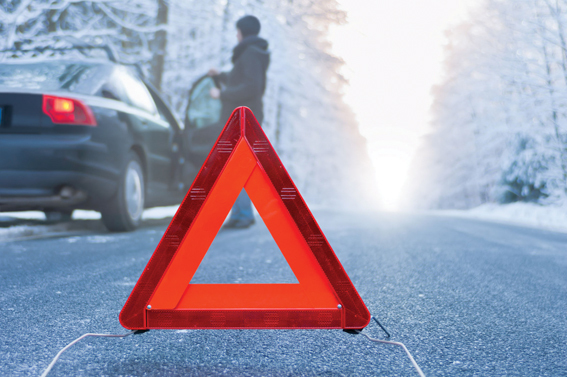 Basic cover will get you roadside assistance – and if your car can be fixed you’ll be on your way. If not, you need cover that will at least get your car to the garage. If you can afford it, higher-level cover will get you on to a destination of your choice. Also check your insurance cover. It goes without saying that the risk of a crash increases in bad weather, so check you’re covered if the worst happens. And make sure that you carry details of what to do if you do break down or have an accident – phone numbers and policy numbers are key. It might seem obvious, but a lot of us forget that we need to drive differently in the winter. If it’s dark, or wet, or icy, for example, slowing down buys you time. It gives you time to access situations and, crucially, to react. You might have heard the saying ‘only a fool breaks the two-second rule’. If you haven’t, then it’s simple. It’s a way of measuring the distance between you and the vehicle in front. You should keep a two-second gap between you and the vehicle in front and you can measure this by beginning the above saying (it takes two seconds to say it) when that vehicle passes a fixed point. If you pass it before you finish the saying then you’re two close. Now, in winter, try extending this to four seconds. Stopping distances in the wet are twice what they are for dry roads and on ice they are 10 times as far. If you can, give yourself more time. This will mean that you can factor in the increased potential for delays, as well as giving yourself a mindset that you’ve got plenty of time and don’t need to rush, again reducing the odds of having an accident. The difficult thing about winter driving can be the hidden risks. Black ice is one such thing – a road might look fine, but could have a layer of ice across it. Be particularly careful on tree-lined roads. Think about it – the trees mean that the sun doesn’t get onto the road, so the surface could still be icy even when all around it has thawed out. Watch out for big puddles in the dark when it’s raining – hit one at speed and it’s all too easy to lose control of your car. And, as much as we all love sunny winter days, low sun at this time of year can blind you when driving. Take extra care. Washing your car during the winter might seem a bit of a waste of time, but it’s far from it. Although it might seem a fruitless task in the knowledge that it’ll be dirty again within minutes, salt that is used to keep roads ice-free, although with general dirt, builds up quickly during the winter. So wash your car regularly, in particular keeping the windows and lights clean – as they can quickly build up a film of grime. Keep your fuel tank topped up in case of delays and diversions and keep an eye on traffic information. 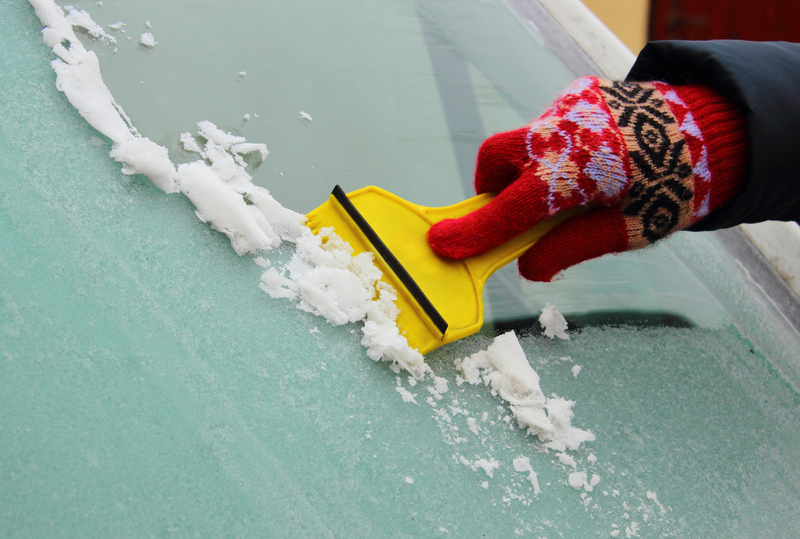 Clear your windows properly before setting off and carry a scraper and de-icer. Ask any British driver about cold weather tyres and their answer is likely to relate in some way to snow or ice-covered roads. Ask a them how often they encounter snow or ice and the answer is likely to range from very infrequently to occasionally, depending upon where they are located in the British Isles. 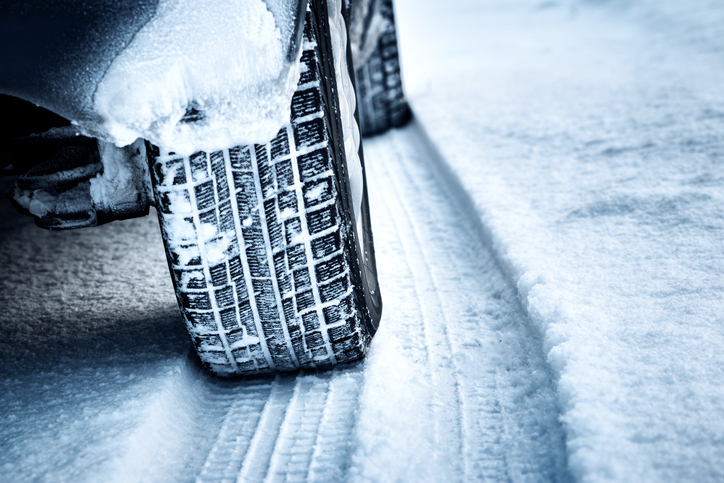 Recent prolonged bad winter weather coupled with significant advances in tyre technology has started to change the UK motorists’ attitudes towards winter tyres. The perception that winter tyres only give benefits on snow or ice is years out of date as modern rubber compound technology and advances in tread pattern design mean the modern day winter tyre also provides higher levels of road safety on cold and damp road surfaces too. Much progress has been made over the last twenty-five years and tyre technology is now at a very advanced level. New vehicle concepts, combined with tyres ideally adapted to requirements, have made driving noticeably safer today. The benefits are persuasive – substantially increased mileage performance, less weight, reduced rolling resistance and considerably shorter braking distances on both wet and dry roads all speak for themselves. As vehicle design and technology has advanced, tyre design has had to do the same but it is unreasonable to expect one tyre type to provide high safety levels with temperature ranges such as +30 oC to -15 oC, both of which have been experienced in Britain in recent years. This is why specialist tyres have been developed over many years. To enable them to develop their potential to the full, there is one crucial aspect – they have to have balanced characteristics. Ambient temperature is a deciding factor on which tyre type provides the highest safety for road users. Most drivers will adapt driving styles when snow is on the ground and when temperatures drop below zero degrees. Why? Because such conditions are either very visible or very apparent to the driver. However, cold damp road conditions visibly are no different to damp conditions in the warmer months, hence drivers will tend not to adjust driving style to suit, therefore it is potentially these latter road conditions which present the highest risks. Research shows these potentially hazardous conditions are most likely to be encountered when the ambient temperature drops below 7oC, which in the UK means between October and April. Also of interest is the frequency of vehicle damage insurance claims which increases sharply with the onset of the cold season. On damp or wet roads, tyres grip differently – and the braking distance is substantially longer. Which means the question of the right tyres and the temperature is even more important. Over 7oC – between Easter and October – traditional summer tyres are truly in their element. 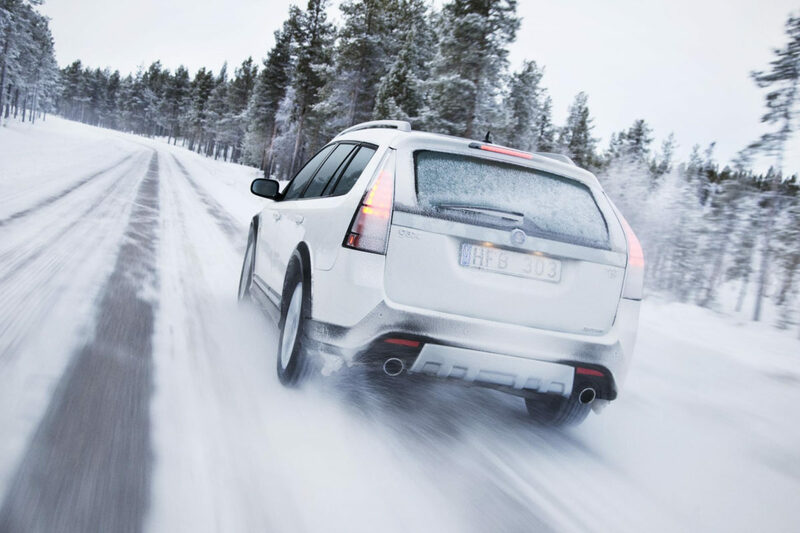 Between October and Easter however, Cold weather winter tyres show distinct safety advantages. 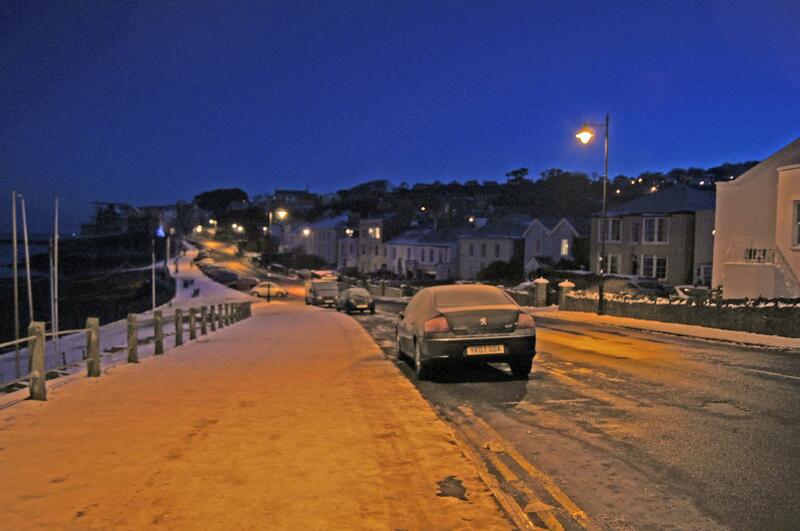 On snow or ice-covered roads, only cold weather tyres reduce the braking distance by those vital metres. When ambient temperatures fall below 7oC, the molecules in tread rubber progressively harden and freeze. This means that the tyre is less able to adapt to the contour of the road surface, which in turn reduces grip levels. With cold weather tyre rubber compounds, there is a higher proportion of natural rubber and coupled with extended use of silica technology, they minimise the hardening effect at low temperatures. This allows the tyre to key into the road surface, resulting in higher grip levels. Together with highly developed tread patterns, the combination is such that no summer tyre can match. A small amount of maintenance pays great dividends in terms of safety. Only well-maintained tyres perform fully and provide a comfortable ride. Tyres should be inspected regularly for cracks, cuts and bulges, and every four weeks check the tyre pressure on the cold tyre to ensure optimum contact with the road. Double-check the tread depth too, because as this decreases, braking distances increase. It’s a clear indicator of when to change your tyres – when summer tyres have only 3 mm tread depth and winter tyres 4 mm. In summary, drivers are five times more likely to skid on snowy or icy road conditions than they are on dry roads, while the number of accidents caused by wet road conditions increases significantly during the winter months. Despite the fact that 60 per cent of people feel scared or uneasy when driving in winter conditions, fully 75 per cent of these same people would not consider fitting winter tyres. It seems crazy, especially when you realize that the latest winter tyres generally outlast conventional summer tyres by many thousands of miles. So it can’t be purely a financial consideration. Many car manufacturers through their dealerships and tyre centres are now actively promoting the use of winter tyres and are even offering to store the set you are not using free of charge until you want them refitted. It seems the industry and the British motorists are finally starting to wake up to the benefits of changing tyres to match the seasons’ varying weather conditions. A fully charged mobile phone. Once a ‘nice to have status symbol’ which has now become an essential part of modern life for most people. An up-to-date map or Sat Nav. This will help you identify your location to the recovery centre. Most recovery organisations will ask their members to pick out any landmarks to help the operator reach them faster. Warm clothing and Wellington boots. Prepare yourself in case you get stranded in the snow and need to walk to reach a phone. Blankets. If the worst should happen and you get caught in traffic or breakdown, it’s important to keep warm whilst you wait for recovery. A shovel. If setting out in heavy snow, or when it is forecast, it makes sense to carry a shovel in the boot just in case you run into a drift. Chocolate and a warm drink. If going on a long journey in bad weather, it is also advisable to take supplies of food and drink. You never know what difficulties you may run into. A torch with working batteries. If it is dark when you break down you may need to get out of the car to see what the problem is. Motoring organisations will always try to identify the cause of the breakdown when the member calls to ensure the operator arrives with any special equipment needed, and the appropriate recovery vehicle. A first aid kit. 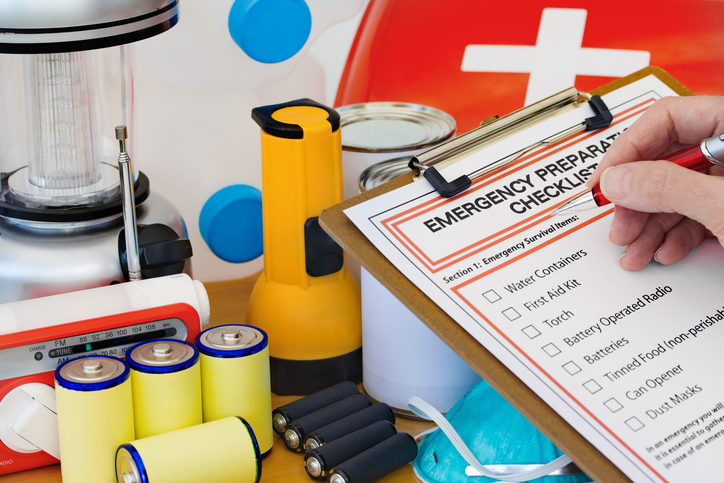 If you are involved in a minor accident, or even see another collision on the roads, it is always best to be prepared. A set of jump leads. The cold weather puts an additional strain on the battery, which can often be remedied with the help of another motorist. A spare wheel. Check your tyre is in good condition, with an adequate tread and tyre pressure. Clear the windows and mirrors fully of any snow before setting off. Drivers who only clear a small area are not only breaking the law but present a danger to themselves and others on the road by not having clear all round vision. Sections 30 and 34 of the Road Vehicles (Construction and Use) Regulations 1986 state that ‘Windscreens and windows MUST be free from obstruction to vision, and MUST be kept clean’. Always try to tell someone what time you are travelling and when you expect to arrive. This will alert them should you encounter any difficulties. Make sure you also check out our driving tips to keep you safe on the road plus how best to prepare your carand its health during the colder weather. Although it might seem like a good time to buy a 4X4, prices are likely to rise on these all-weather vehicles in winter, especially in bad weather. However, anyone looking ahead to summer cruising in a convertible could snag a hot deal on a cold day. A convertible will be a better investment for car buyers at this time of year, as prices are at their lowest between now and Christmas. The problems of leaky roofs and draughty interiors are a thing of the past, thanks to modern engineering, making convertibles much more practical than they used to be. Many dealers are also jumping on the Black Friday band wagon and have great deals leading up to Christmas and through New Year. 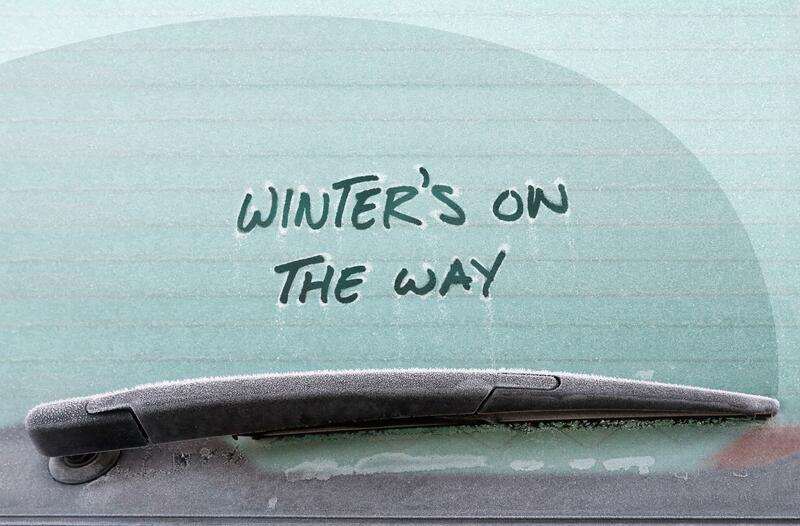 It’s worth keeping an eye out for special offers on service plans plus don’t forget to invest in a set of winter tyres. 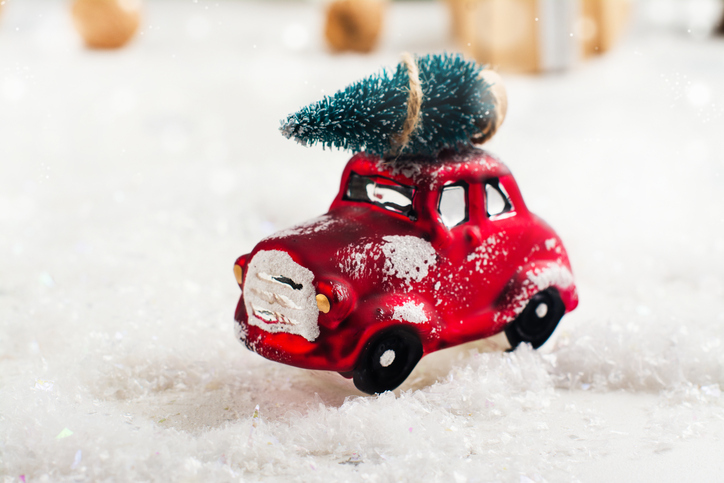 If you are planning on doing some Christmas car shopping, here’s some handy tips for buying during the colder weather. Bring a torch – it will help to check under the bonnet and the car’s chassis. Check the bodywork – look for dents, scratches and signs of rust. Wipe away raindrops – raindrops can hide scratches and dents, so ideally view when it’s dry or give the car a wipe. Under the bonnet – if you don’t know what to look for, bring someone who does or book in a professional. Test drive – don’t skip the test drive, take the car through its paces and listen for any engine noises, as well as testing the brakes and steering. Take extra care – test driving an unfamiliar vehicle in winter needs extra care, as wet or icy roads increase stopping distances. Do the carwash test – running the vehicle through a carwash could reveal leaks, saving you hundreds of pounds in the long run and will avoid a soggy winter of motoring. Bring a coat – this way you can test the aircon and the heating. Put your coat on to test the cooling system and take it off to see how quickly the car warms up. Test the tyres – check the tyre tread depth is at least 1.6mm across the whole width, if not ask the seller to fit new tyres – or negotiate a price reduction as a new set of tyres can be costly. But remember, winter takes its toll on tyres, so better to be safe. Salt corrosion – if buying in an area that frequently experiences harsh weather conditions, and roads are regularly salted, check for salt corrosion. While road salt is vital to safer winter driving, it is also extremely corrosive and over time it can cause extensive damage to vehicles. Don’t be scared, we’ve got treats galore with our delightful deals and the only tricks are the ones we know for getting you the best price. So, if you’re in a car nightmare and need to wake up, check out these wicked wheels for a happy ever after. If you’re someone who doesn’t like to conform to the rules, blurs the lines and likes to pave your own road, then set your sights on the Renegade. Perfect for those looking for plenty of space and a car that can handle anything. Free yourself from your old car and find something new and exciting that not only captures your heart but is somewhere you don’t mind being stuck in when you can’t escape the morning commute. This car offers comfort and style at an affordable price and can be a perfect family car. The Veloster might sound like it would be more at home in Jurassic Park than your driveway but it’s fast, sporty and has a good growl. Great for those looking for something a bit different and it comes in some eye-catching colours. 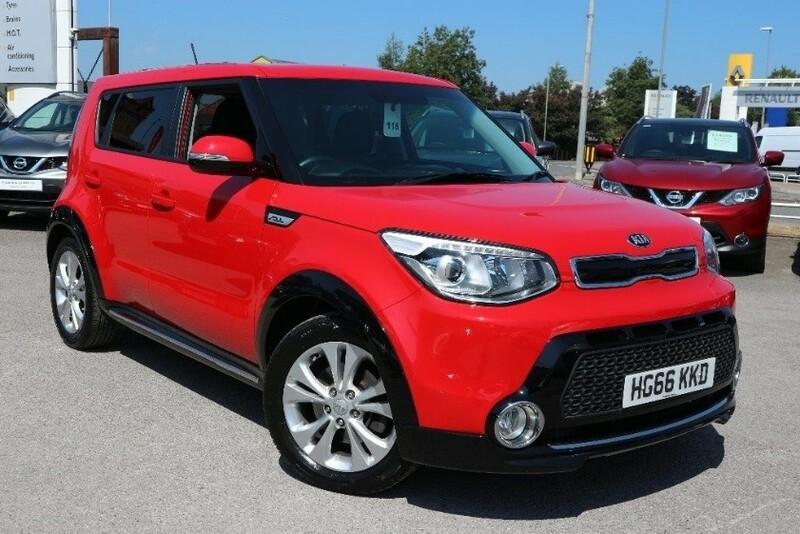 If you’re looking for a spiritual connection with your next car, then what better car to pair up with than the Kia Soul? 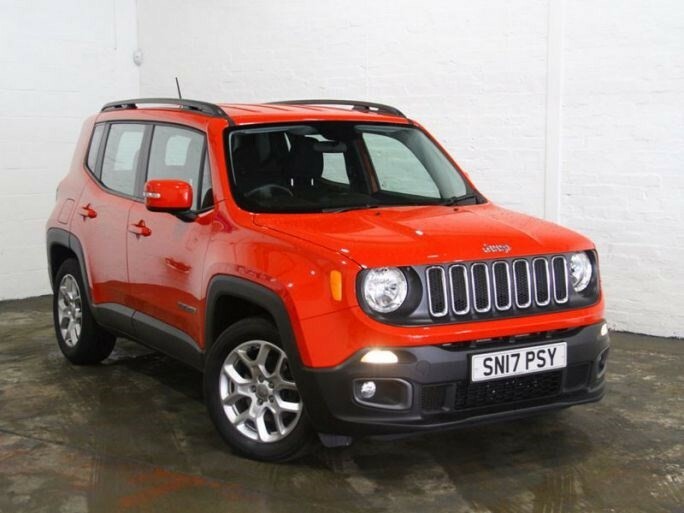 Similar in shape and size to the Renegade but with the added benefit of Kia’s 7 year warranty. You certainly won’t be crawling along the road in this classic. 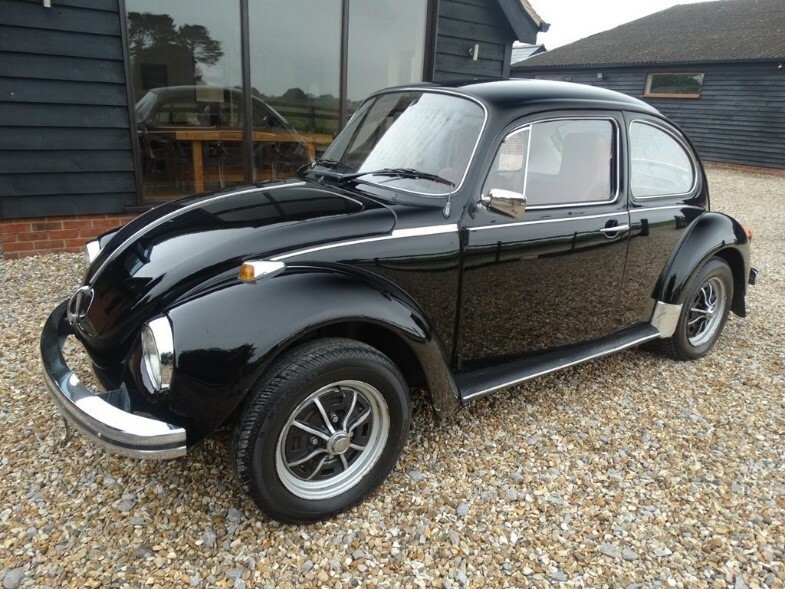 An icon both on screen and on the road, the Beetle looks great at any age. You can opt for the original style or opt for the newer, modern look. If it was us, we’d go for classic. For even more Spooktacular deals on thousands of cars from trusted dealers , search Exchange and Mart and s1cars now.